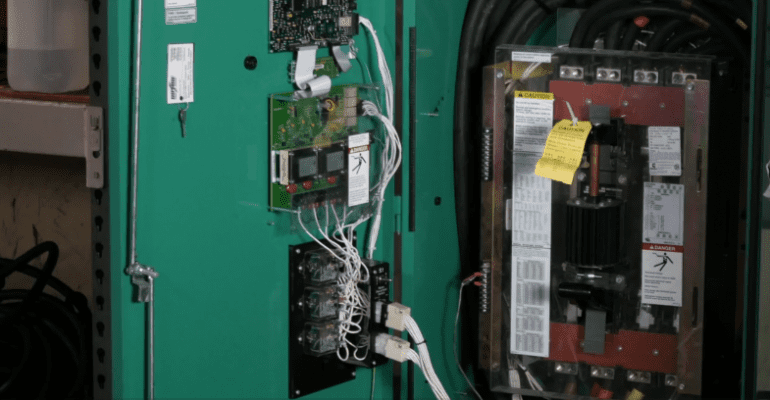 When you are servicing an Automatic Transfer Switch the first thing you should do is a visual inspection. Look for telltale signs of a loose cable which would be discolored on the lux (you don’t need an infrared gun to tell that). Tighten up all the connections. We want to go through the mechanism to make sure that there is no binding, everything works as expected. All lubricating points if necessary they will be done again. All connections are tightened everything is analyzed as far as the manufacturer spec and the operation (all time delays are checked). Then we’ll do a test (using a test feature) on the transfer switch and finally we will do a drop power test to make sure everything functions as normal. All transfer switches are different. Generally a relay or coil may burn and that could be due to a micro switch that gets stuck from idle/non-use. That’s why a monthly test on your transfer switch really recommend. An annual transfer switch service test will give you peace of mind it will work every time.